If there was one experience and scent I could bottle it would be the mixture of salty air and sand from a sunny day at the beach (though this Bobbi Brown fragrance comes close)! This post-pool outfit encompasses exactly that happy go lucky feeling. 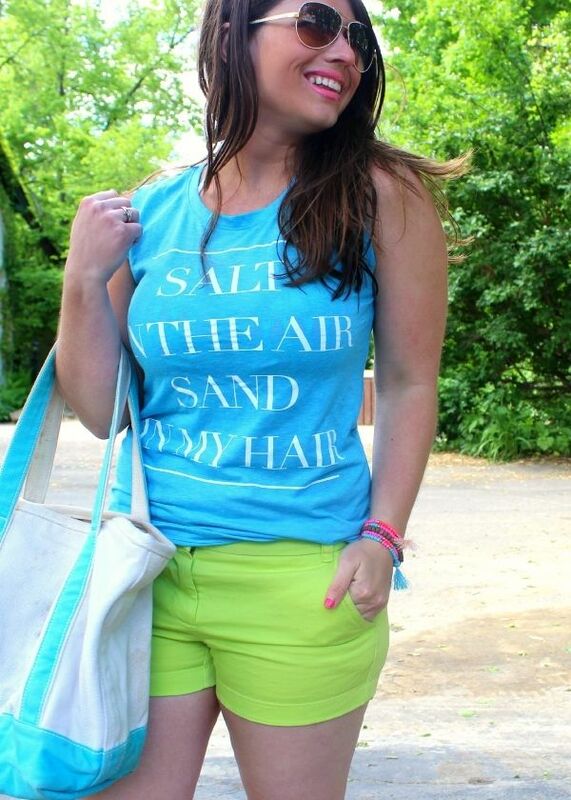 The cheeky graphic tee, bright tropical hues and my trust tote filled with beach reads. 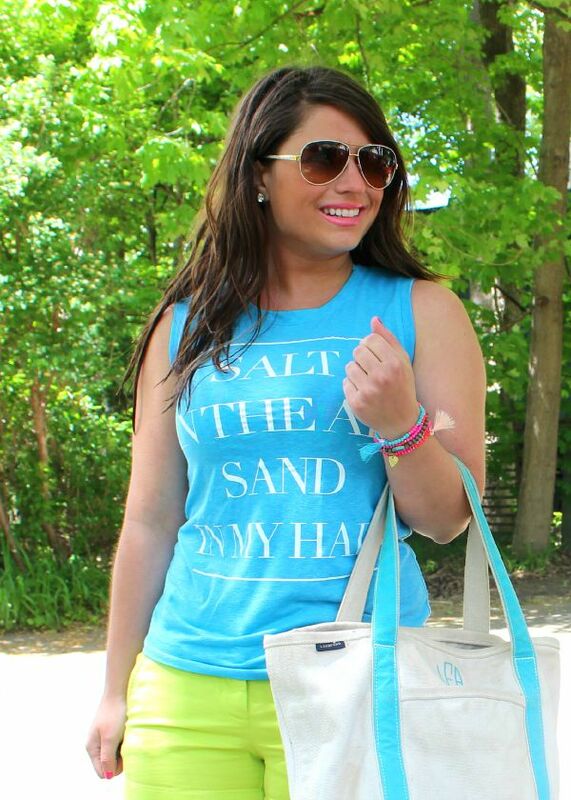 As you saw in my last post... nothing screams summer more than bright, happy colors! Side note .. my parents may or may not have just told me that they're planning a family trip to Hawaii (AHH! )!So needless to say.. 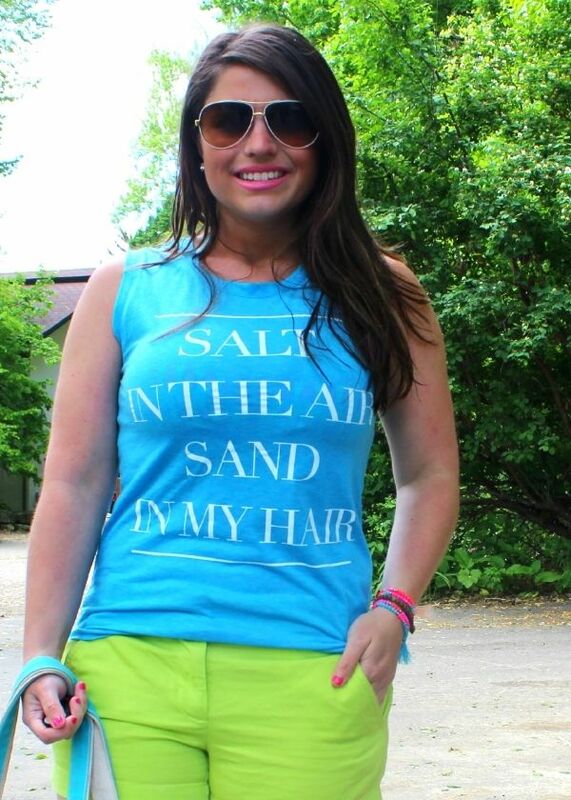 I'm in a beachy state of mind. I feel like you can almost see the excitement on my face! Life is good. 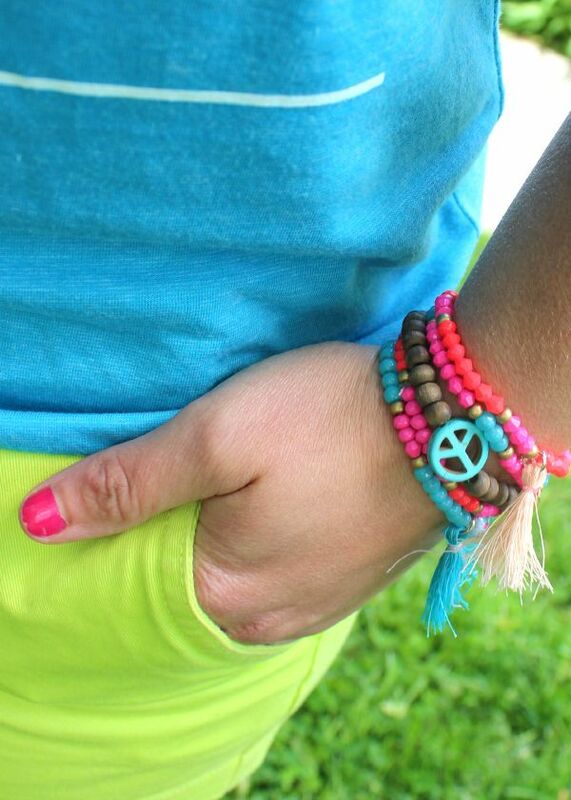 As I mentioned in my outfit details, my bracelets are DIY'd! I've been on a big bracelet making kick. It's been a great way to get a little bit creative at night. If you follow LPF at all you know I love my arm parties, so it's great to be able to switch them up with some colorful handmade tassel bracelets. I've been trying out different combos using "stretch magic" elastic cord, colorful beads & DIY tassels using embroidery thread (great tutorial here)! Once you cut your elastic thread to size just knot the end and start threading each bead on. 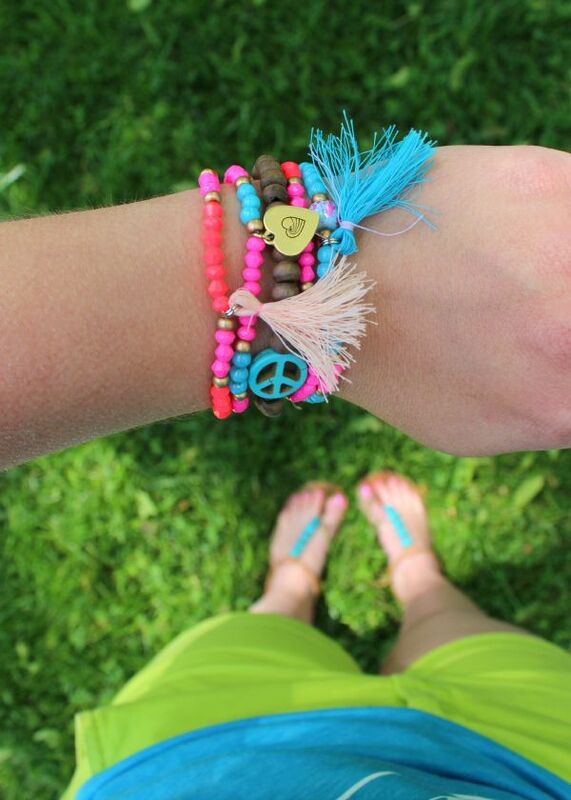 Be sure to lay out your pattern ahead of time and add fun details like tassels and charms! What summer DIY projects are on your radar? Love this look so much. It's so perfect for a day at the beach. The coloured shorts are the best.